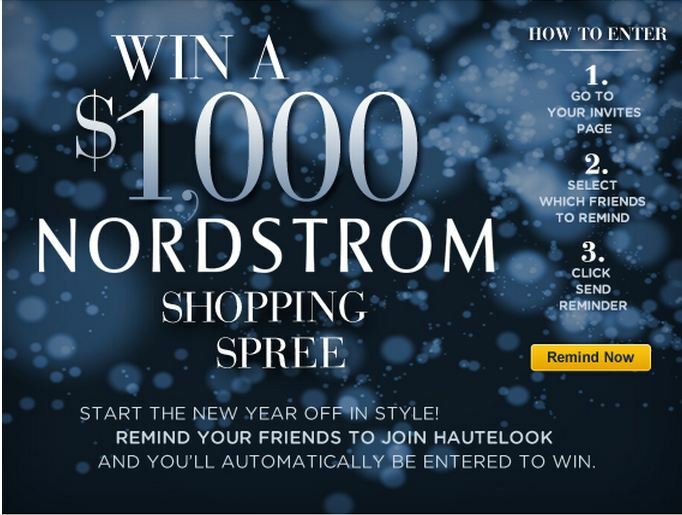 Win $1000 Shopping Spree from Nordstrom!!! Hurry and Sign up for Hautelook!!!! 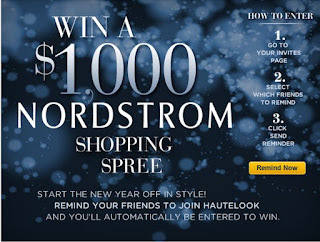 Send invites to your friends, then send them a reminder to join and for every reminder you send - you get 1 entry into the drawing for a $1000 Shopping spree to Nordstrom!!! Go join now for your chance to win from Hautelook!